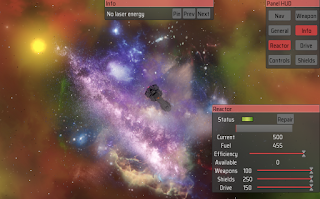 All warships in the game are equipped with rockets as a weapon system. Depending on the class, the ship may contain 3 types of rockets M1, M2, M3. The number of rockets also depends on the class of the ship. 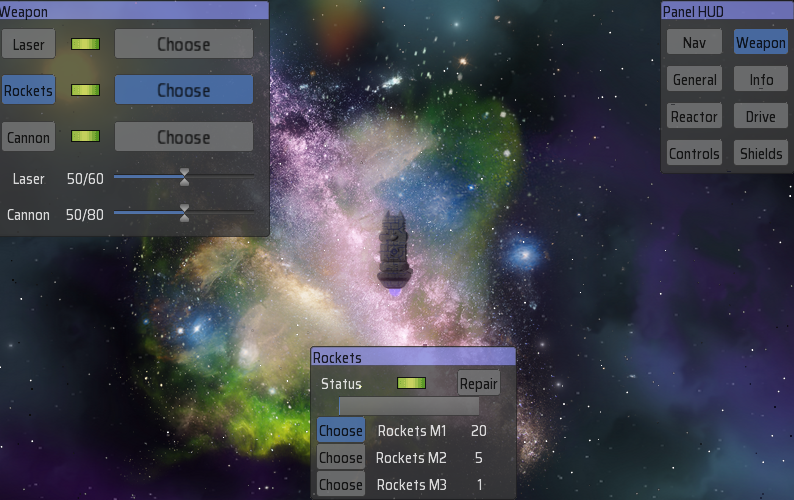 Access to the missile system is possible through the "Weapon" menu and then "Rocket". The selection of the rocket type takes place in the "Rockets" window. Rocket classes differ in the following parameters: speed, range, maneuverability and energy. The values for individual classes are given below (they may change over time).